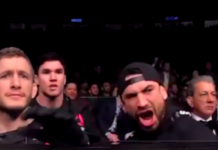 As the hours between us and the stacked UFC 207 continue to melt away, the UFC has released the fifth instalment of its popular Embedded series for the card. 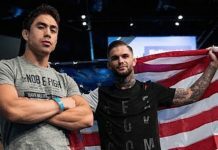 In this episode of the series, we’re treated to backstage footage of the card’s stars – Amanda Nunes, Ronda Rousey, Dominick Cruz and Cody Garbrandt – as they make their final preparations and step onto the scales to weigh in for battle. 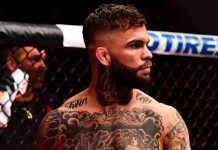 The episode also features a short clip of Garbrandt’s Thursday brush with one of Cruz’s main training partners, UFC featherweight contender Jeremy Stephens. Though no blows are thrown in this clip, it’s clear that emotions were running high. Catch this scuffle at the tail-end of the video above. Nunes will enter her bout with Rousey having won the women’s bantamweight title with a mauling of Miesha Tate in July. Prior to that win, she scored back-to-back defeats over Shayna Baszler, Sara McMann and Valentina Shevchenko. Rousey, meanwhile, will be stepping into the cage for the first time in more than a year. When we last saw her in action, she was put down by a Holly Holm head kick in November of 2015. 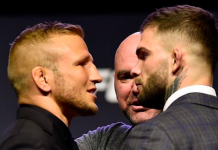 Cruz will enter his co-main event battle with Garbrandt having reclaimed the bantamweight title from TJ Dillashaw in July, and defended it in June against long time rival Urijah Faber. Garbrandt, on the other hand, will step onto the canvas with a flawless, 10-0 record. 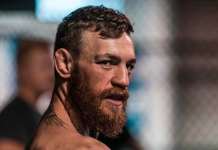 His five most recent wins have all occurred in the UFC’s Octagon, and the three most recent of those have come by way of first-round knockout. 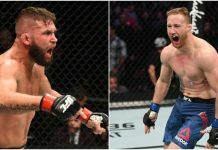 Other highlights of the UFC 207 lineup feature a bantamweight scrap between former champion TJ Dillashaw and former flyweight contender John Lineker, a welterweight scrap between Dong Hyun Kim and Tarec Saffiedine, and a flyweight scrap between Ray Borg and Louis Smolka. Which feature of the UFC 207 bill are you most excited for? Sound off PENN Nation!